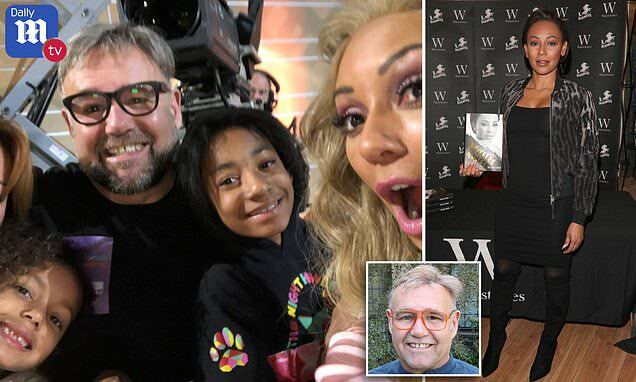 Mel B's former friend and nanny has told DailyMailTV he's worried she'll suffer the same fate as Whitney Houston after learning of the former Spice Girl's drug use in her new book. Rusty Updegraff said he fears for Mel's health and future after she admitted in her new memoir, Brutally Honest, to snorting cocaine to overcome stress. Rusty claims he watched the America's Got Talent judge's life spin out of control as she turned heavily to alcohol and drugs to deal with her divorce and custody battle with ex-husband Stephen Belafonte. The mother of three wrote in her memoir that she has overcome her drug addiction after moving on from her split, but Rusty - who served as her 'manny' - claims she did not seek professional help to become sober. He compared her to Houston, whose death in 2012 came after she hid the extent of her drink and drug dependencies. 'The thing is that you don't just give up drugs. The drugs are in charge, that's the thing,' he told DailyMailTV. 'Look at Whitney Houston. She talked about it and she just kept going and then she was sober and she did good. That's all image, that's all show and then she was still doing it. And this is what I'm afraid of. 'This is going to go on and no one is going to say anything. They all want to stay on the money train and that glamour lifestyle with them. Mel, 43, has spelled out aspects of her troubling life since getting together with Belafonte in her explosive book, set to become a Christmas best seller.